No matter which side of the political tug-of-war you are on when debating “marriage,” there is something distasteful about using ordinary people as political fodder. Crystal O’Connor was one such naive pawn used for divisive purposes as Indiana’s Governor Mike Pence tiptoed around modifying the Religious Freedom Restoration Act know as Senate Bill 568. The national media and LGBT activists highlighted O’Connor’s Christian opinions regarding “providing pizzas for a gay wedding” as the nation debated the freedom of religion, an individuals’ rights and what is discrimination when religious convictions clash with changing societal views. O’Connor, the small town co-owner of Memories Pizza in Walkertown, Indiana was an easy target for a reporter working an angle as the RFRA debates flames were being fanned. With Christian crosses on her storefront windows and likely traditional small town values concerning marriage (which only a few years ago were shared by the overwhelming majority in America including President Obama), a reporter published O’Connors comments. The story as they say … grew legs … and a politically left leaning media salivated over O’Connor’s answer to the hypothetical question. I assume most journalists and news organization who reported on this story did not intend to hurt her or the small town Memories Pizza business, but instead saw one more divisive news story — and perhaps as a way to advance a liberal cause (my wrong assumption)??? 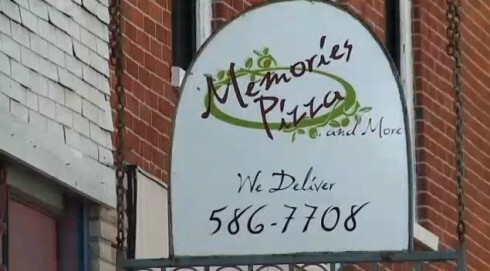 Unfortunately, Memories Pizza and O’Connor became more than just an ink-on-paper story and took an ugly turn with some targeting the pizza shop and owners. Like it or not, the little pizza shop became the front line and something to shut down … or burned down if some are to be believed. For those who practice their Christian faith and live these values in their lives beyond the four church walls on Sunday, the Indiana debate and Memories Pizza story became a line that should not be crossed. Conservatives took to social media and rallied support when they heard just how rattled this small town proprietor was after threats were hurled at her. A crowd-funded GoFundMe site was set up by Lawrence Jones III and supported by national talk show host Dana Loesch after Memories Pizza closed their doors … the support was/is amazing. As a Twitter friend Ted Skibinski commented to my Tweet: IMAGINE THAT >Leave it to Christian’s to HELP others & turn BAD into Great!